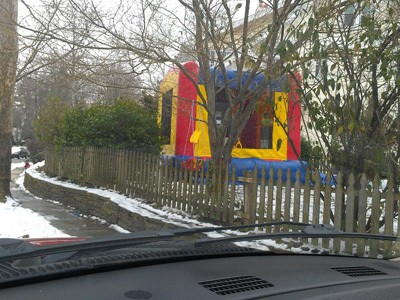 We rented a bounce house to a lovely couple in Narberth, Pa on New Years Eve. It was a treat for all of the neighborhood kids. Not even snow can stop some people. Take a look at the picture. If you are looking for a Narberth Moon Bounce Rental company give us a call!